Secretary General of the Department of Justice Brian Purcell has said the arrangements for dealing with Garda whistleblowers were not fit for purpose. Mr Callinan resigned the day after the Secretary General visited his home. The Guerin Report severely criticised the Garda, the department and the Garda Síochána Ombudsman Commission for the handling of complaints of malpractice by garda whistleblower Sergeant Maurice McCabe. Earlier, acting Garda Commissioner Nóirín O'Sullivan told the committee she welcomed the establishment of an Independent Police Authority and supported GSOC's right to investigate the Garda Commissioner. Commissioner O'Sullivan appeared before the committee today. She said that all serious allegations against members of the gardaí should be investigated by GSOC and not referred back to the Garda to investigate, as occurs at present. The last time Ms O'Sullivan appeared before an Oireachtas committee, she was sitting beside Mr Callinan when he described the actions of the garda whistleblowers as "disgusting". Today in her opening statement, she outlined her own support for more openness and accountability in the delivery of the policing service. The acting commissioner welcomed the establishment of an independent police authority with responsibility for oversight of the gardaí. Commissioner O’Sullivan said she supports constructive engagement with the Ombudsman Commission, but said GSOC should investigate all serious complaints and allegations against members of the force. She also told the committee that the internal garda audit unit should be strengthened. It found there was "sufficient basis for concern" about whether all appropriate steps were taken to "investigate and address" the complaints. 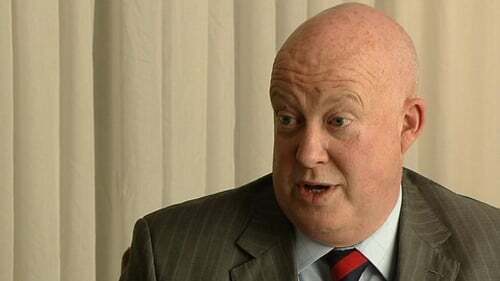 Taoiseach Enda Kenny has told the Dáil that the meeting between Mr Purcell and Mr Callinan in March is a serious issue. He said he already outlined that the information he was given was of such a serious nature that Mr Callinan should be made aware of his concerns and anxiety arising from the information he had received as he would be talking to the Cabinet about it the next day. He was responding to Fianna Fáil leader Micheál Martin. Mr Martin said it was worrying and bizarre that Mr Purcell had set out conditions about what he could answer. He said this was essentially gagging the committee. Mr Martin said there was nothing stopping the Taoiseach from giving a full account to the committee or the Dáil about the meeting between Mr Purcell and Mr Callinan. Mr Kenny said that his sole concern was that Mr Callinan should be made aware of the information he had received. He said that there was nothing mysterious about the resignation of the former commissioner.